Dr Glen P. Fox Professor Chengdao Li is Director of the Western Barley Genetics Alliance, linking Murdoch University with the Department of Agriculture and Food Western Australia (DAFWA). Professor Li is an internationally-renowned expert in barley breeding, having helped to develop new varieties such as Baudin which is widely seen as setting the benchmark in malting quality. Professor Li is a member of the International Barley Genetics Sequencing Consortium which has mapped the barley genome, and has published widely on barley genetics and breeding. This collection provides a comprehensive review of advances in improving barley cultivation across the value chain. 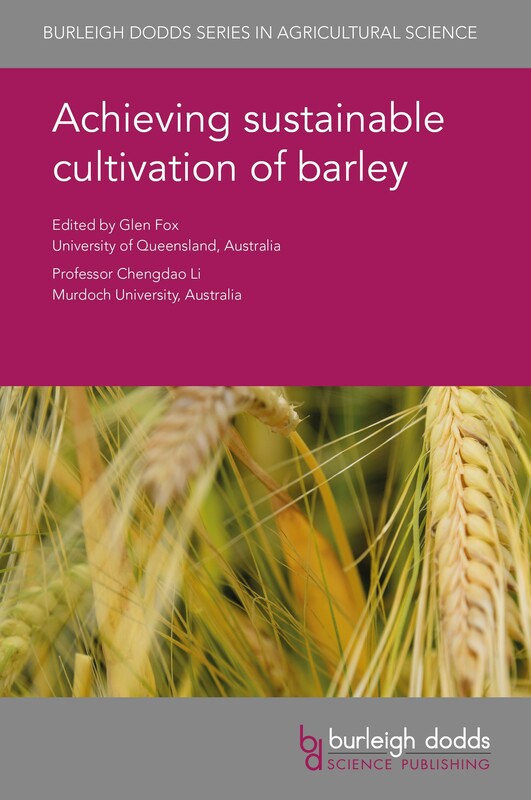 Chapters first summarise advances in understanding barley physiology in such areas as plant growth, grain development and plant response to abiotic stress. There is also a review of current developments in mapping the barley genome. Building on this foundation, the next group of chapters summarises advances in breeding with chapters on breeding trial design as well as advances in molecular breeding techniques such as genome wide association studies (GWAS) and targeted induced lesions in genomes (TILLING). Other chapters discuss good agricultural practices and post-harvest storage as well as fungal diseases and weeds together with integrated methods for their management. The final part of the book assesses current research on optimising barley for particular end uses such as malting, brewing and animal feed.